Filter exclusively for metal magnetisable particles. 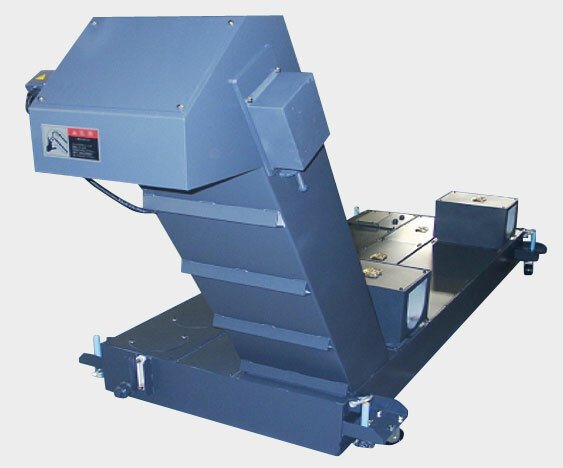 The system consists of a scraper conveyor in the bottom of which has been installed a bed of magnets, and on top of this bed a connection duct to ensure the liquid circulates around the bed of magnets. Specially for processing metal magnetisable chips. The degree of clarity obtainable is 50 microns over 90%. The connection duct is designed to allow the maximum number of particles contained in the cooling liquid to be trapped.